Wilson Bethel playing dress up as Daredevil. 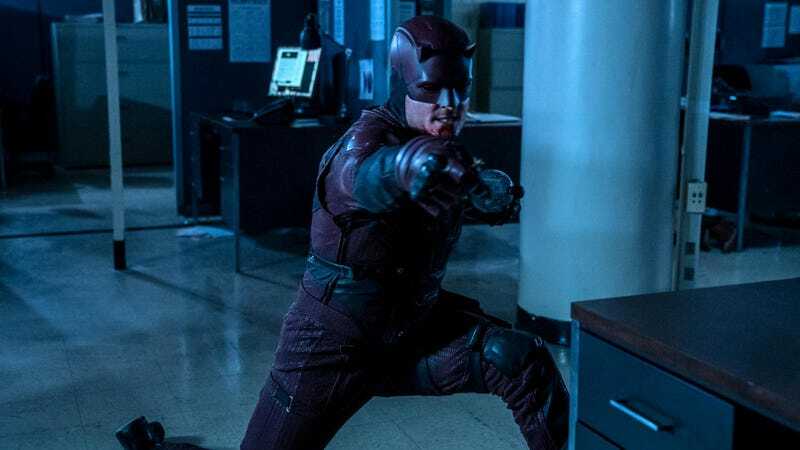 While there were a handful of hints that Daredevil’s third season would introduce Bullseye as one of Matt Murdock’s newest foes, the latest teaser for the show makes it very, very clear that not only is the villain set to make his debut, he’s also out for blood. Wilson Bethel’s Benjamin Poindexter (yeah, they just went with it) is introduced as a former FBI agent who, in addition to having a set of uncanny skills, is a man on the edge. Dex’s lethality is with made him such an effective agent in the field, but as the new teaser demonstrates, his gifts are ultimately going to put him on Wilson Fisk’s radar in his scheme to take down the Devil of Hell’s Kitchen.